Proactive Hurricane 12 Volt Plastic Groundwater Pump | Enviro-Equipment, Inc. Capable of pumping up to 150 feet from ground level. Uses Power Booster 2 or Low Flow Power Booster 2 Controller. The Engineered Plastic Hurricane® pump is capable of pumping up to 150 feet from ground level by simply connecting it to a 12 volt battery. Its reliable design is suitable for continuous sampling and purging of groundwater wells. 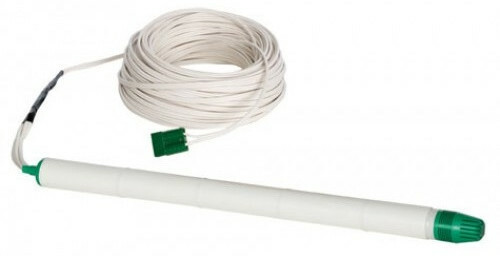 The Hurricane® can be used for low flow sampling all the way down to 40 m/l per minute. Need to get even lower?? How about 10 m/l per minute in conjunction with the low flow sampling valve. Length 26" / Diameter 1.82"